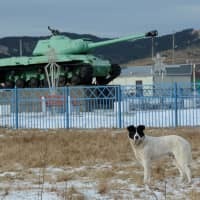 MOSCOW - Russia said Monday it had built new barracks for troops on a disputed chain of islands near Japan and would build more facilities for armored vehicles, a move likely to anger Tokyo after it urged Moscow to reduce its military activity there. 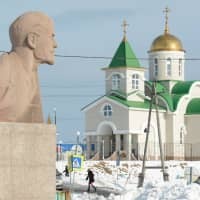 The announcement, from the Ministry of Defense, said Moscow planned to shift troops into four housing complexes on two of the four disputed islands, known as the Southern Kurils in Russia and the Northern Territories in Japan, next week. The news came after the Kremlin said Prime Minister Shinzo Abe might visit Russia on Jan. 21 as the two countries step up a push to defuse the territorial dispute to allow them to sign a World War II peace treaty, something the disagreement over the Pacific islands has long prevented. Foreign Minister Taro Kono said at a news conference Tuesday that he intends to make a protest to the Russian government regarding the move. 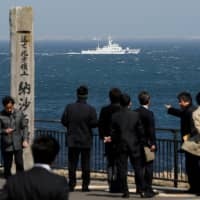 Tokyo said in July it had asked Russia to reduce its military activity on the islands, a plea Moscow dismissed as unhelpful megaphone diplomacy at the time. 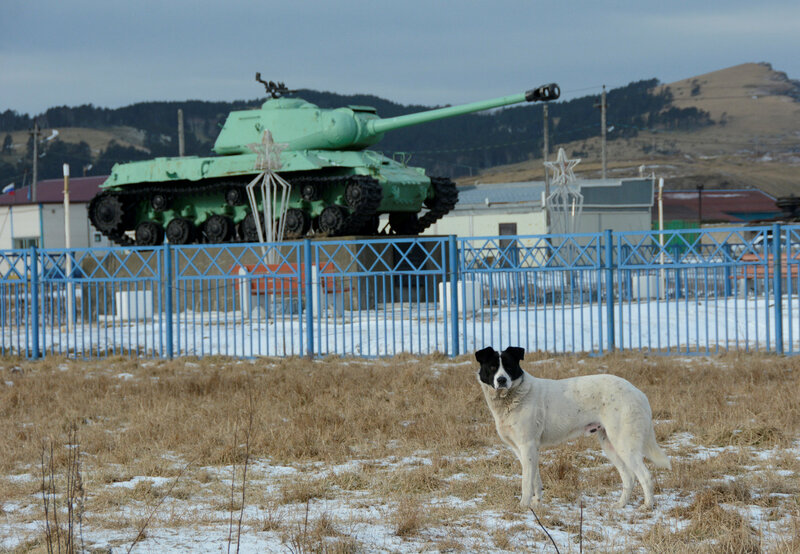 Soviet forces seized the four islands at the end of World War II, and Moscow and Tokyo both claim sovereignty over them. 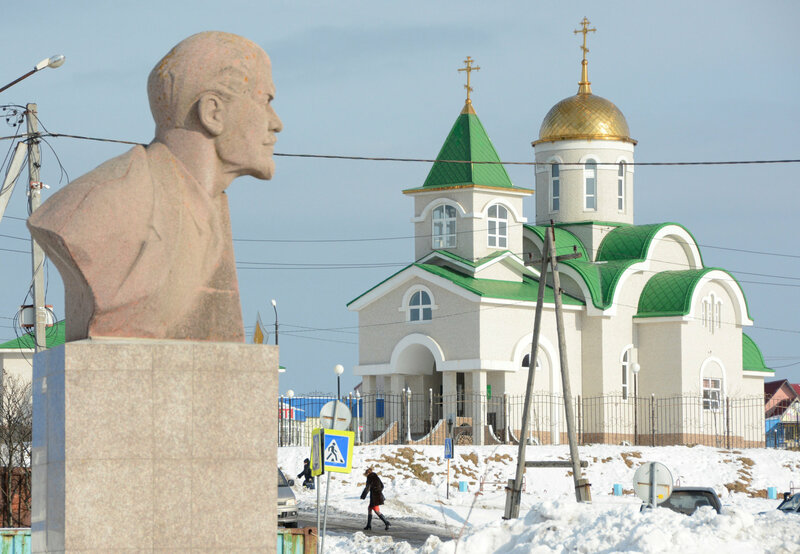 Diplomats on both sides have spoken of the possibility of reviving a Soviet-era draft agreement that envisaged returning two of the four islands as part of a peace deal. President Vladimir Putin and Abe have held numerous face-to-face meetings to try to make progress. But tensions have remained high. Tokyo says it is concerned by what it regards as an unhelpful Russian military buildup on the islands — which has included warplane, missile defense and other deployments. Moscow, meanwhile, says it is perturbed by Japan’s rollout of the Aegis Ashore U.S. missile system. Russian politicians say they fear Japan might agree to deploy U.S. missile facilities on the islands if it ever got any of them back and that Moscow could only countenance a deal if it received a cast-iron guarantee that ruled out such a scenario. 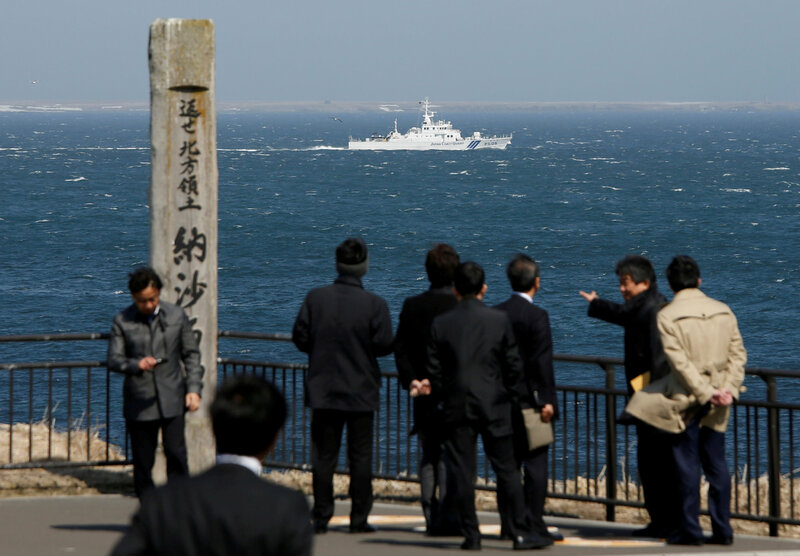 Russia’s Defense Ministry said on Monday it wanted troops and their families to move into the two new housing complexes on one of the four islands, Iturup (Etorofu in Japan), and into two others on the island of Kunashir (Kunashiri in Japan), on Dec. 25. It said troops were moved into two such similar facilities last year, with three more barracks planned for 2019. “Also on both islands we have modern and heated storage facilities for weapons and armored vehicles,” the ministry said in a statement, adding that more such facilities were planned.